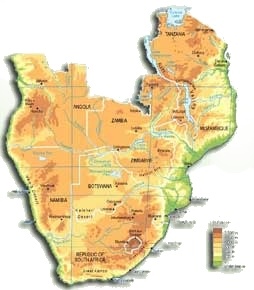 At first sight, Botswana, Lesotho, Malawi and Zambia, seem to have more differences between them than commonalities. Their political histories and legal systems vary significantly, as do their development levels, with Botswana one of the few countries in Africa classified as lower middle income. The four are united, however, in facing the challenges of global and regional marketplaces. They are all concerned with increasing employment, protecting fundamental principles and rights at work, promoting labour-management cooperation to improve competitiveness and the quality of workers' lives, and overcoming HIV/AIDS and its debilitating effect on individuals and organizations. These four countries have also ratified all of the ILO's core Conventions and are working to bring their labour laws into line with these fundamental principles and rights. It is also recognized that these countries need assistance in developing the necessary legal frameworks as well as strengthening social dialogue. In February 2002 a project entitled Strengthening Labour Administration in Southern Africa (SLASA) was financed by the U. S. Department of Labour. The project was designed to offer potential support in finding ways to improve capacity as well as to reorient certain labour administration institutions to the changing environment. The focus was on improving freedom of association, tripartism and enforcement of labour laws, and assisting workers' and employers' organisations in promoting the industrial peace and cooperation needed to accelerate economic growth. In October 2003 a Mid-term evaluation of the project was carried out. D. Tajgman was the Team Leader of the evaluation team. P. White, Department of Labor, Washington, DC, USA and W. G. Issa, ILO, Geneva, Switzerland constituted the other two team members.